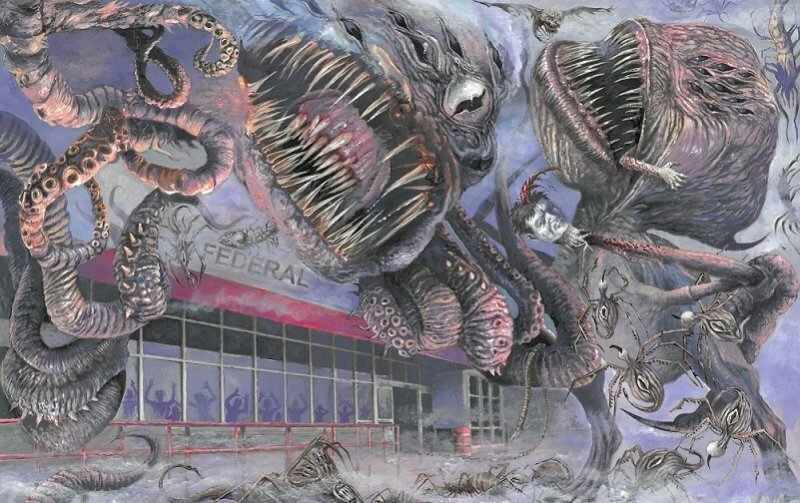 Artist Glenn Chadbourne » Extraordinary horror art! 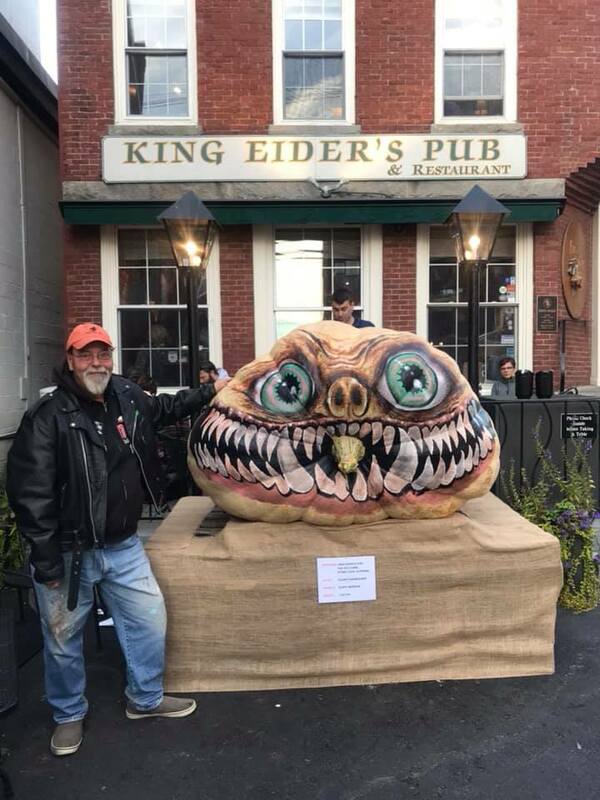 Artist Glenn Chadbourne creates unique paintings based on Stephen King’s novels and short works. The Canvas Lithograph Signed Limited series offers a unique piece of his art at a reasonable value for only $150. His original paintings go for $600 to $1000 and more. This offers collectors a unique and personally signed version of these paintings to display in your personal library. 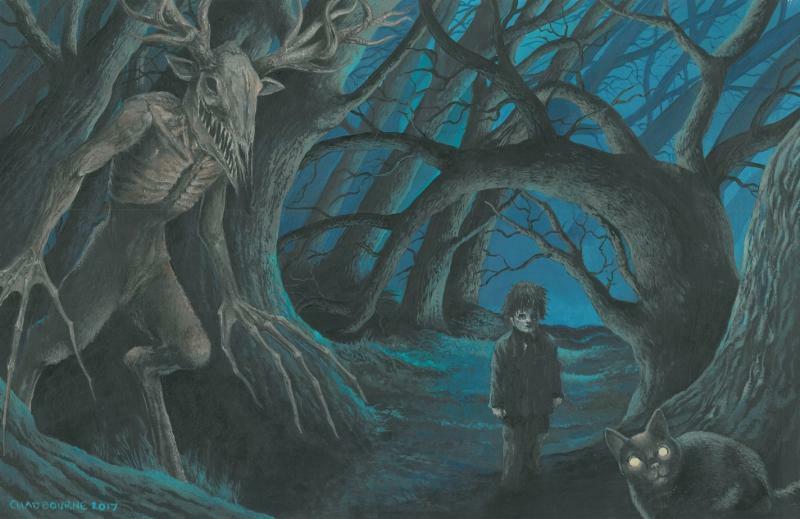 These Canvas Lithographs are limited to 150 signed / numbered copies and that is it. They will not be offered again. ON A BUDGET? We can help you make payments. Just contact us at servicestephenkingcatalog@gmail.com and ask for a layway paypal payment and you can apply up to three payments to complete your purchase. As we offer FREE Shipping this makes it only $50 a payment. 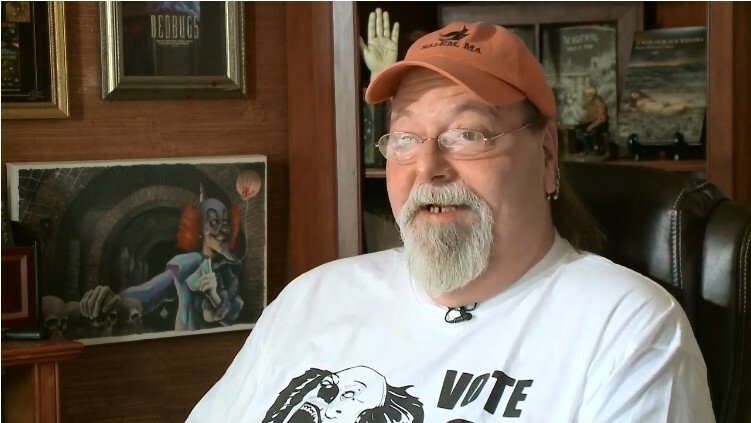 On Thursday, January 17, 2019, WCSH TV (“News Center Maine”) aired a six-minute video profile/interview with Glenn about his illustrations for the limited edition of Josh Malerman’s Bird Box. You can watch the video on their site. 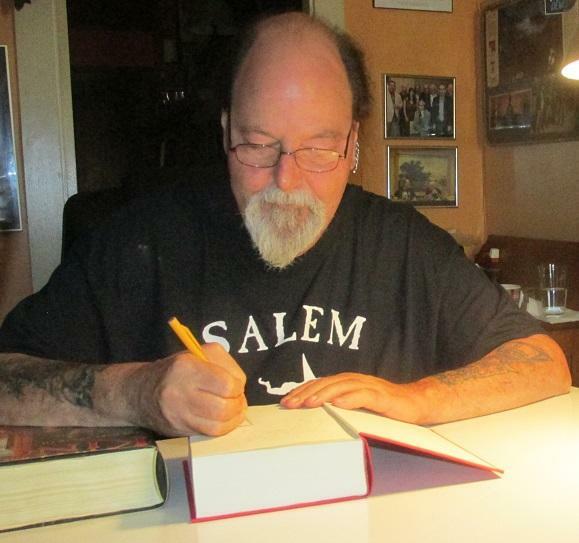 Stephen King Artist Glenn Chadbourne! New King Cover #35, Signed / numbered by Artist. FREE acid-free book cover on each copy! Order HERE to Track Your Orders! 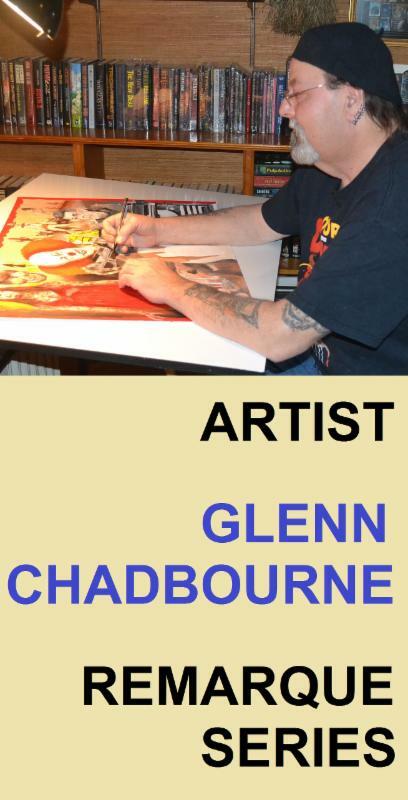 Art featured by Glenn Chadbourne is not final cover art. A Full Page Original Color Remarque. 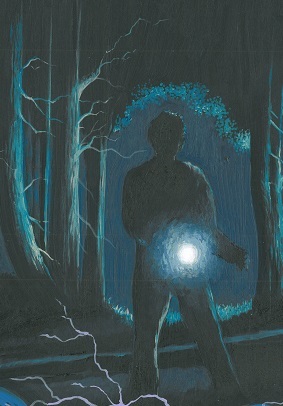 personally drawn on an interior end-page by Stephen King artist Glenn Chadbourne. 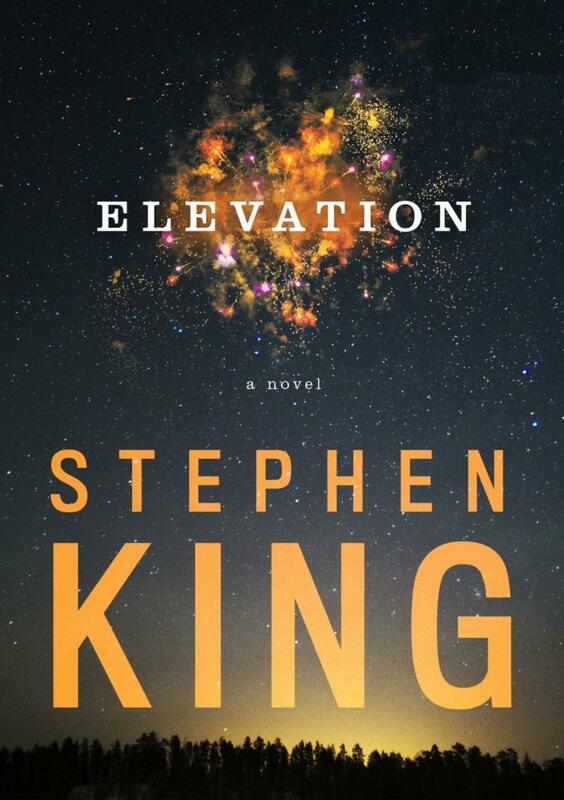 Also includes the New Stephen King Cover No. 35 for ELEVATION. Signed / numbered by Glenn Chadbourne. Number matches the remarque number of your copy. 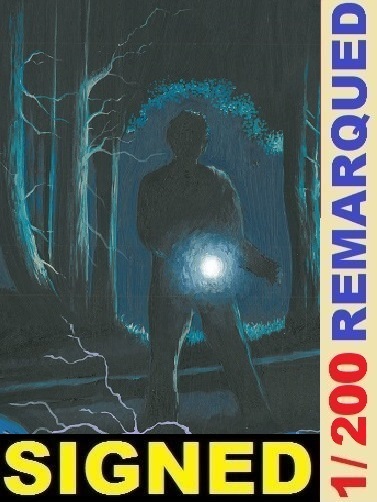 Remarque Subscribers: If you are a subscriber you will receive your same number in this series. Signed & Numbered by Glenn Chadbourne. An embossed gold seal features an original self-portrait stamp created by Mr. Chadbourne on the title page of the book. The number of each copy is featured within Glenn’s eyes. A Letter of Provenance, also features the embossed gold seal, unique to each copy, accompanies every sale that certifies the authenticity and origin of your original Remarque. 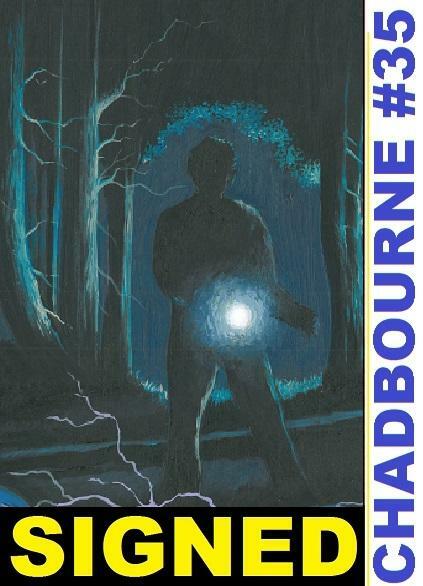 A Small Title Page Remarque by Stephen King artist Glenn Chadbourne. E-mail ONLY SPECIAL! This is not offered at the website. 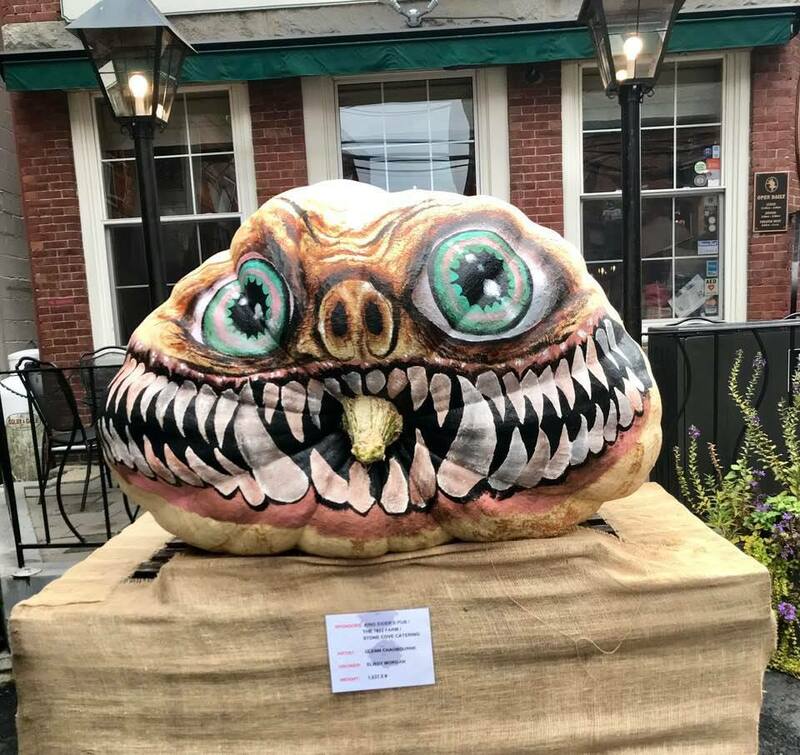 From Dave Hinchberger, owner of Stephen King Catalog/Overlook Connection. The SOLO edition has sold already. YO! Glenn Chadbourne’s beautifully horrific piece above is the final cover for THE MIST hardcover coming soon! We were so elated with all the detailed work he put into this cover. You’ll have to see it to discover all the intricate detail he has laid out within. All the beasties within beasties… what a trip. You still have a chance to order the limited at the pre-order price, but that ends on November 1st. So hurry! LIMITED EDITION: LAST CHANCE AT SPECIAL PRICE! Last Chance at the Pre-Order Price! The price below is good until November 1st! 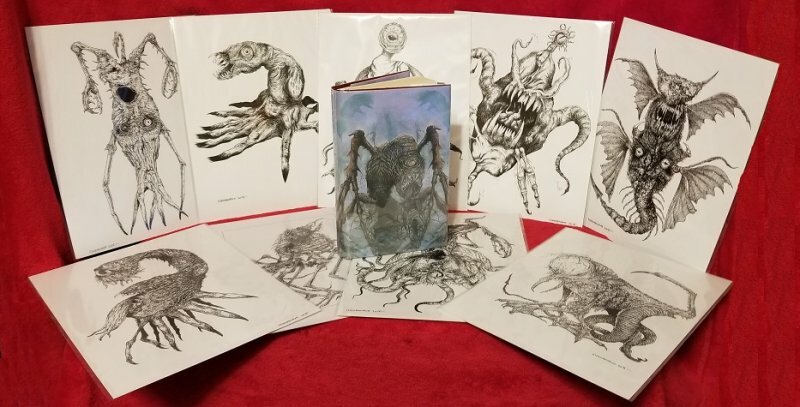 LETTERED EDITION – We have twenty lettered editions to offer, that includes a personal Remarque art by Glenn Chadbourne, and one of the original pieces of art from The Mist Art Book! Lots of extra features. See details below. Again, only 20 copies! 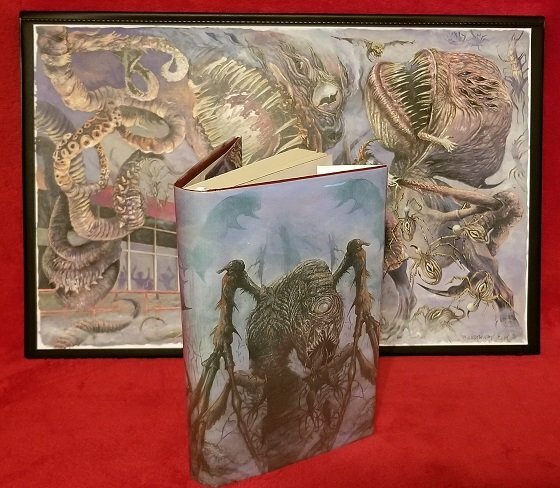 SOLO EDITION – One copy, with unique features, and includes the original cover painting for THE MIST as seen above. See below for all the lovely details. The purchaser of this edition also has the first opportunity at future SOLO edition releases. THE MIST Set is still in pre-production, and we’ve added a few extras that I’m sure you’ll appreciate is worth the wait. We’re still hoping we can get this out in 2018 and we’ll keep you abreast of upcoming details. Elevation ships soon! We have several offers, including the special Glenn Chadbourne Remarque deal… take a look below.